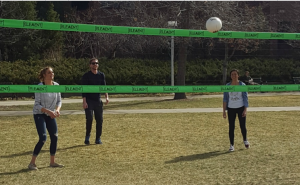 DENVER, Auraria Campus — Students socialized and played volleyball at Lawrence Park on March 9, in an event put on by Element to promote campus fellowship and relationship building. 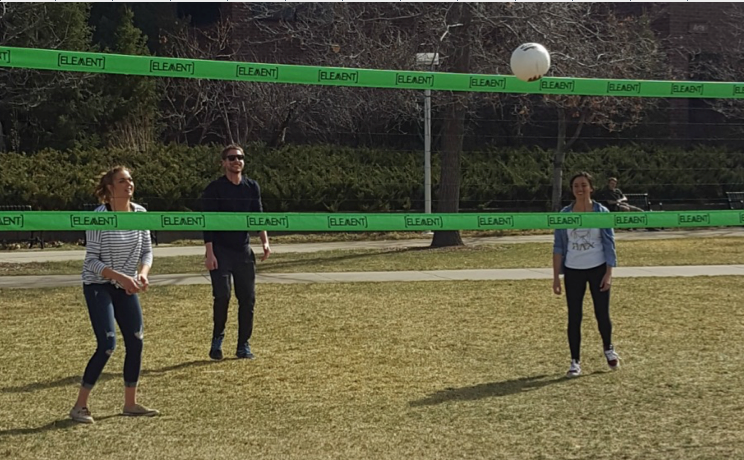 Element is a social group on the Auraria campus that tries to transcend the commuter nature of the three schools on campus. Student Director James Weiner wants to enable students to get to know each other better. MSU Denver senior Austin Cagaanan has been to multiple events put on by Element. The most memorable experience for him was a concert last year where students were taught how to breakdance. The volleyball event was one of many smaller events that Weiner calls pop-up events. “We do a lot of just pop-up events that are open to anyone coming here to campus,” he said. Participating is a very informal process. Weiner said that anyone on campus is welcome to join any event that they are putting on, no registration or prior notice required. David Schaut is a Denver area journalist and sports editor at The Metropolitan campus newspaper. I like to read your stories. I learn something new every time I read them. It maybe something small I miss in my own piece, but like I said after reading your piece I find something new to look for out in my own events.